Following (a) our successful Kids4Trees program for elementary schools throughout the Los Angeles Unified School District thanks to a CalFire Environmental Education Grant Award in partnership with the Los Angeles Conservation Corps, providing 24 elementary schools with the 1/2 day Kids4Trees program which commenced September 2013 and continued through 2015, and (b) following four continuous years of programs throughout the country in partnership with the US Forest Service, serving dozens of school districts and tens of thousands of students receiving hands-on outdoor environmental programs, including the planting tens of thousands of trees and native grasses, Kids4Trees is now organizing nationally to serve elementary schools throughout the United States and is seeking one million dollars for this purpose. The LAUSD is the second largest school district in the United States, with almost 700,000 students, half of which are in elementary schools, usually with a majority of students from low-income families and minority students. The proposed national organization (see proposed Kids4Trees United States Organizational Chart) will require a minimum of one million dollars to effectively implement. 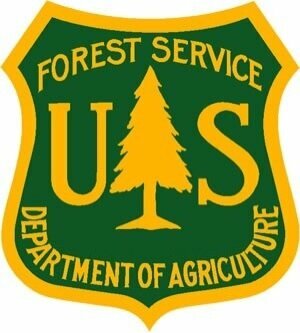 We will approach retired forest service and similarly experienced personnel to serve as regional managers. 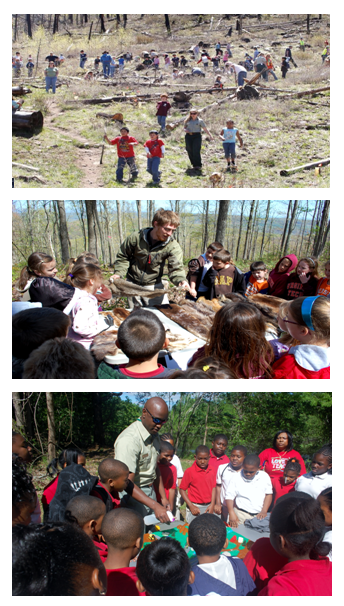 Teaching teams can be established from local and regional environmental organizations such as the EPA, fish and wildlife organizations, public works personnel, local forestry schools, and so on. Thus, organizational costs are the bulk of expenses, with program costs minimized with the inclusion of local civic and private volunteers. 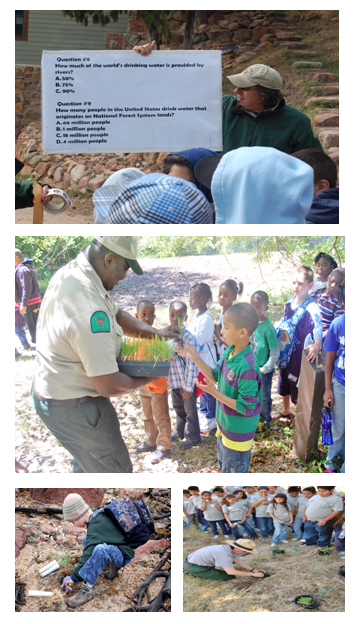 Kids4Trees is a California nonprofit IRS 501(c)(3) public benefit corporation organized in 2008 for the purpose of providing meaningful and enjoyable outdoor forest education, compatible with the philosophy and policies of the United States Forest Service. As a result of Kids4Trees programs thousands of young, impressionable-aged children became stewards of their forests and the environment. In school programs, the children plant trees on campus or in their gardens or nearby parks, where they can water and care for “their” trees. 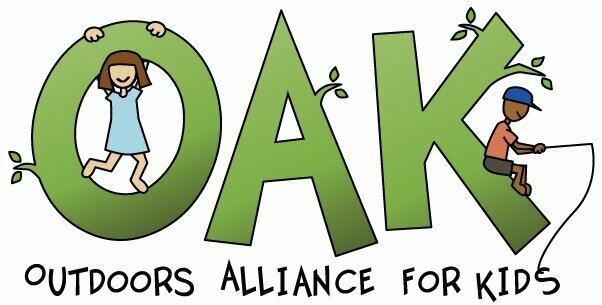 The Kids4Trees half-day program provides the elementary school children with rotating 15-minute workshops covering trees, soil/water, wildlife, recycling/litter, and climate change. This is followed by tree planting, children singers and inspirational speakers. The classes are invited to learn tree songs from the multilingual 12 tree song CD, approved by the California Dept. of Education, to sing at events. The students are also encouraged to prepare paintings or other art relating to trees and environment. The Kids4Trees template also applies to in-forest programs and has been successfully adapted to help fulfill the desire of most school districts to provide outdoor environmental programs and tree planting that they could not otherwise afford. The Kids4Trees program may also be available on a fee basis to charter schools. Kids4Trees has been a national participating partner with the USDA Forest Service, international partner with the World Olympians Association and has been endorsed by the United Nations Environment Programme (UNEP) Billion Tree Campaign, United Nations Educational, Scientific and Cultural Organization (UNESCO), United Nations Association (San Francisco), Outdoor Alliance for Kids, Children&Nature Network, Prince Albert II Foundation of Monaco, Discover the Forest, and many others. Kids4Trees is a 501(c)(3). not-for-profit organization whose mission is to provide enthusiastic and responsible environmental stewardship and healthy lifestyle programs, focusing on underserved and disconnected elementary school children. Kids4Trees believes that it is absolutely vital that all children are exposed to nature and healthy choices, and have access to policies and programming essential to the sustainability of our planet and the creation of its stewards. Kids4Trees serves children throughout the United States.